If you’re dreaming of wide sandy beaches, sandcastles and surfing this summer, it’s hard to beat the ease and beauty of a Southern California beach vacation with kids. An area known for family resorts, there is none more iconic than the Hotel del Coronado in San Diego where families have vacationed since 1888. At “The Del”, as the hotel is fondly called, beach meets kid-friendly to create summer entertainment from sunrise to s’mores. In a city routinely extolled for its beaches, The Del has a choice spot on Coronado Island which sits across San Diego Bay, near downtown. The kid-centric resort offers activities in and out of the water for all ages and activity levels. There’s always been plenty of things to do for families at The Del, but the white Victorian with red-turreted rooftops doesn’t rely solely on its seaside location on Coronado Beach to create fans. New programs and old favorites continue family traditions and attract visitors from around the globe. During Summer 2014, the The Del upgraded the beach experience with the addition of “Del Beach”, an oceanside area that anchors the line-up of summer activities for adults and kids. Beach staff accommodate guests with lounge chairs and day beds, umbrellas and full service food and beverage options. Del Beach also includes a beach playground, interactive activities for kids and water sports rentals. S’mores on the beach is a long standing Southern California tradition and The Del delivers with Roast – a one-hour private bonfire and s’mores experience. For a little extravagance, guests can upgrade the chocolate and add fruit, candy and flavored marshmallows to the experience. Shhh…don’t tell the kids. Summer brings back the always-popular dive-in movies at the main pool. Whether kids have seen the movie or not, this is a must-do for them. Curl up in beach towel or take a dip while family favorites play on the screen. Let the games begin at check-in. As part of the year-round DelVenture kids programming for ages 4 -12, younger guests begin their stay with a scavenger hunt throughout the hotel in search of gold crowns. Perseverance pays off with a sweet treat at the end. Organized activities are arranged at Kidtopia, the resort’s kids’ club. Fee-based programs are grouped in 2-hour blocks and longer for mini-adventures. There’s a wide variety of programs from educational to outdoor exploration around the resort and at the beach. Kidtopia also offers Kids Night Out on Fridays and Saturdays. Check the full schedule for a list of activities and descriptions. Bunk beds, bean bag chairs and a treasure chest? The irresistible new Blue Dolphin and Octopus two-bedroom, two-bath suites are nirvana for kids and parents who have their own master suite. The ocean-themed suites play on the Southern California location and are located on ground floors in the Victorian building. There are enough things to do with kids at Hotel del Coronado that you’d never need to leave the resort but just in case, there’s a free shuttle around Coronado Island during summer. Want Help Booking a Room at Hotel del Coronado or Planning a Family Vacation to San Diego? We can help! Our family-friendly hotel review of Hotel del Coronado in the CB! Hotel Collection has more information about why this property works so well for families. Use the Check Availability button to reach out for the Best Available Rates and one of our Family Vacation Consultants will follow up to offer guidance. This is a free service. Need more comprehensive guidance? CB! Vacation Consultants specialize in helping families book travel to top destinations around the world. 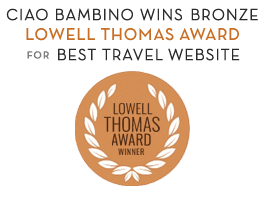 Our expert consultants do everything from recommending and booking accommodations (including a qualified options not featured on Ciao Bambino) to developing comprehensive multi-stop itineraries. For more information and/or to request assistance, go to the CB! Vacation Consultants page. Editor’s Note: Photos provided by Hotel del Coronado.